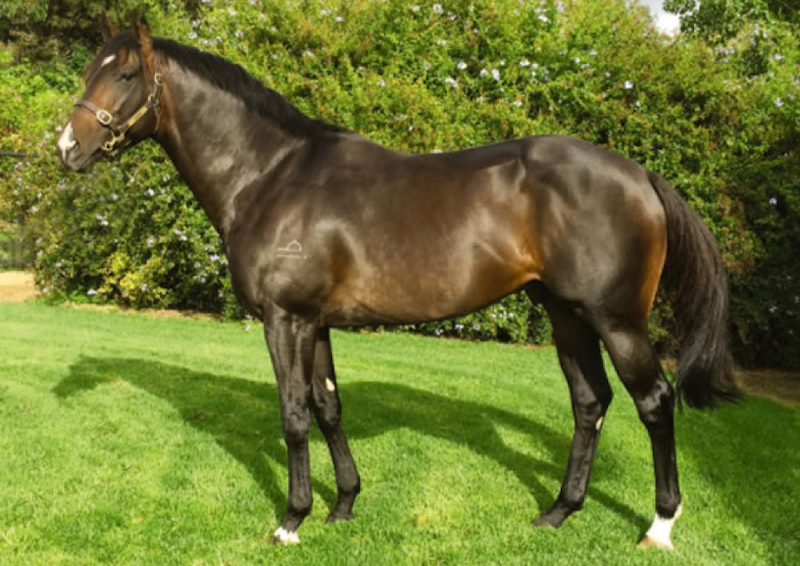 Two runners, two winners, and black type – the perfect start for Larneuk Stud’s exciting young stallion Cluster. Gee Gees Darl having impressed saluting at her Hobart debut last November, has not put a hoof wrong in her three subsequent outings. With a game runner-up in the Listed Elwick Stakes, she now has a consistent record of four starts for a win and three seconds. While Cluster’s Galaxy was able to quickly find form in Canberra, when at just his second outing he raced away to an easy victory over 1000 metres for trainer/part owner and breeder Wendy Roche. Having had a torrid run at his Rosehill debut, things went better for him this time, with the handsome bay sitting off a hot pace and charging to the line. The ease of Galaxy’s victory came as no surprise to Roche who has always had a big opinion of the youngster. Now off to the paddock with improvement to come, Galaxy is one of a cluster of runners for the great value Larneuk stallion, who also has the Bryan & Daniel Guy trained Bunched on the up after an impressive two length trial victory at the Gold Coast. Larneuk Stud’s Neville Murdoch has bred a few of his own Clusters’ who also show plenty of promise, and he admits to being excited. “From day one we have been impressed by the strength and presence of his foals, and we are sure that they are only to get better as they mature,” Murdoch said.